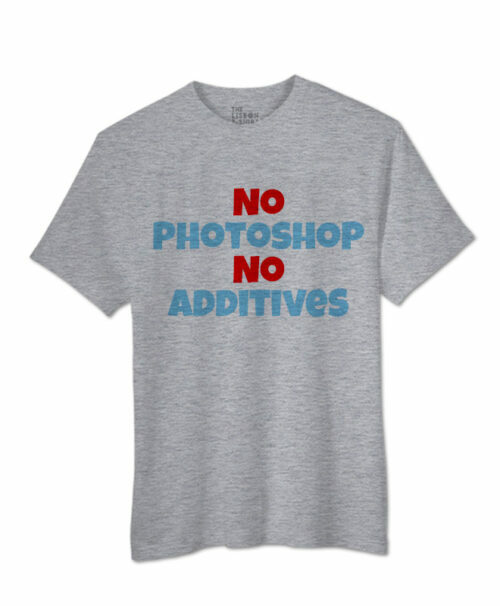 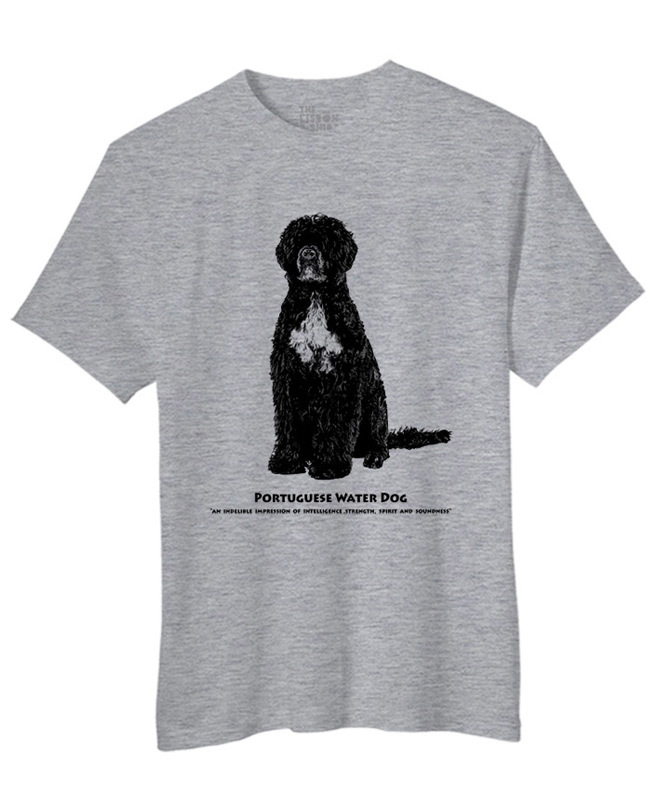 Portuguese Water Dog T-shirt is available in white, red, heather grey and atol blue. 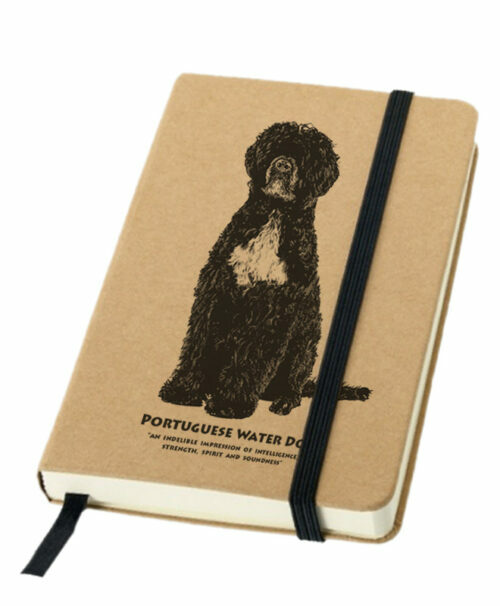 The Portuguese Water Dog, known for it’s intelligence, spirit, strength and soundness, looks wonderful on this notebook. 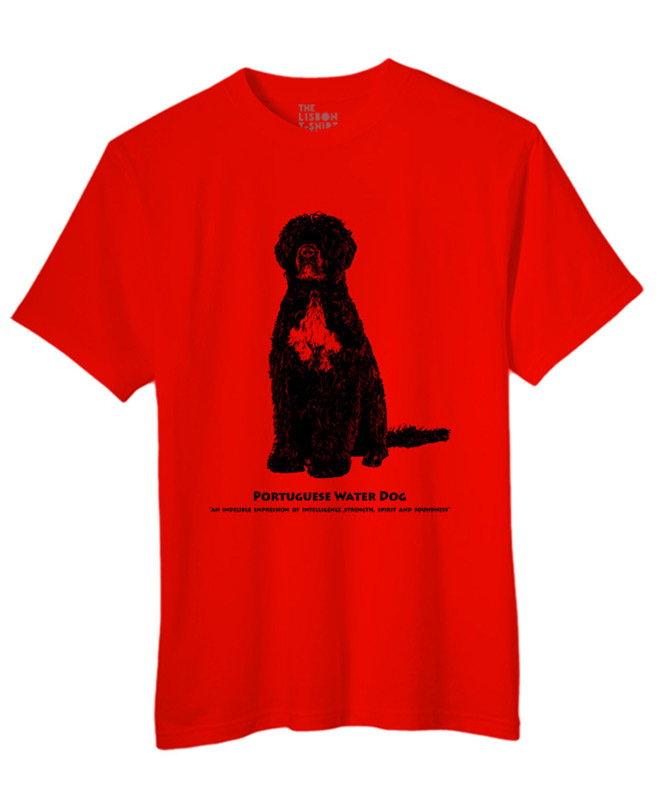 This is a breed more and more present all over the world. 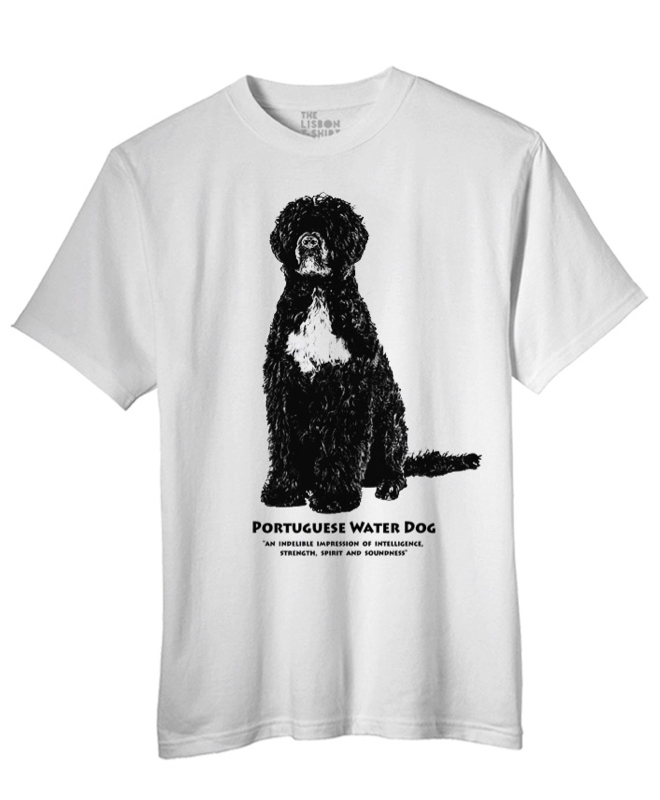 The Portuguese water dog became famous after the Obama’s Bo and Sunny. 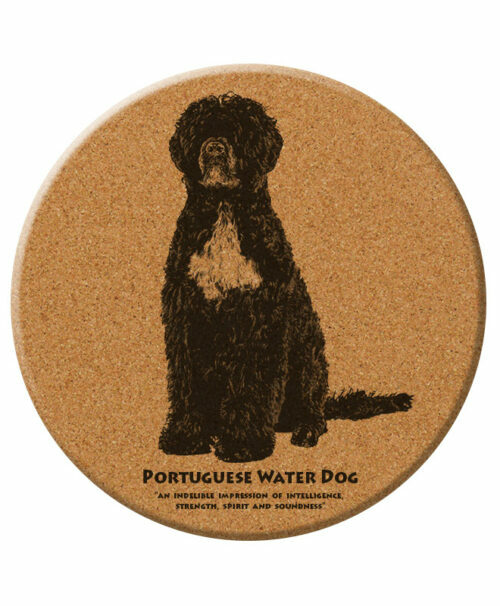 Get to know the “Water Dog Collection” that includes t-shirts, bags, aprons, coasters, trivet, a light and a notebook. 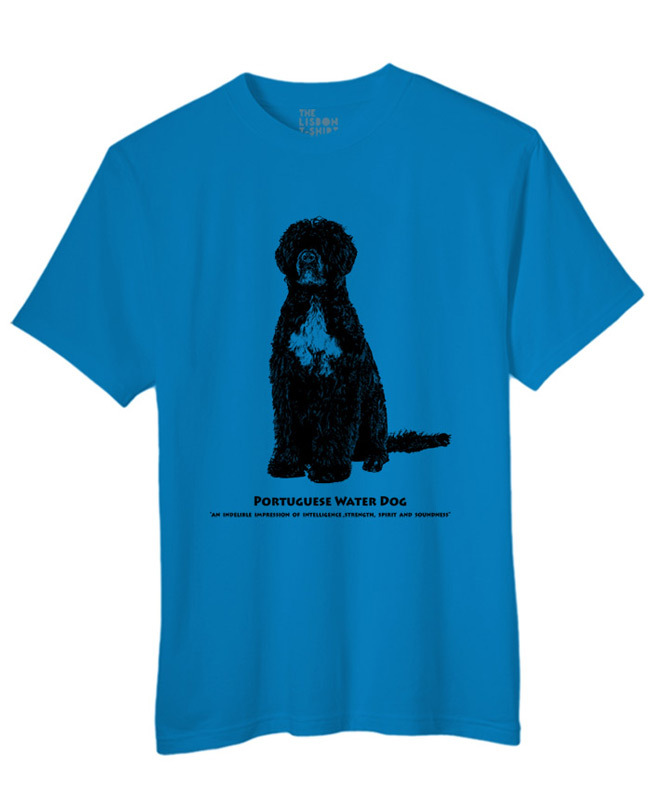 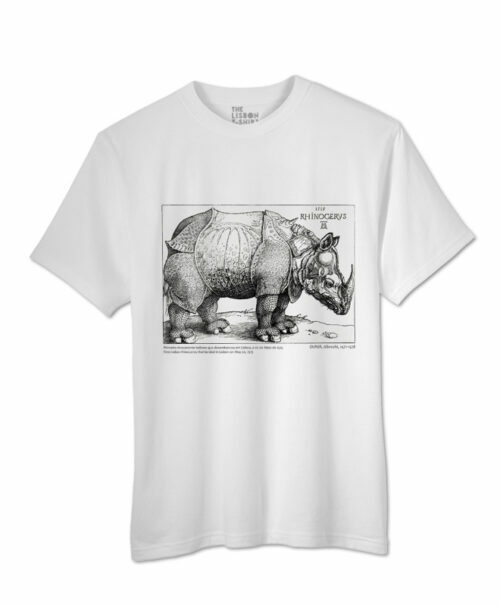 To choose the right model and size of your Portuguese Water Dog T-shirt or Top, please consult our Style and Size Chart.